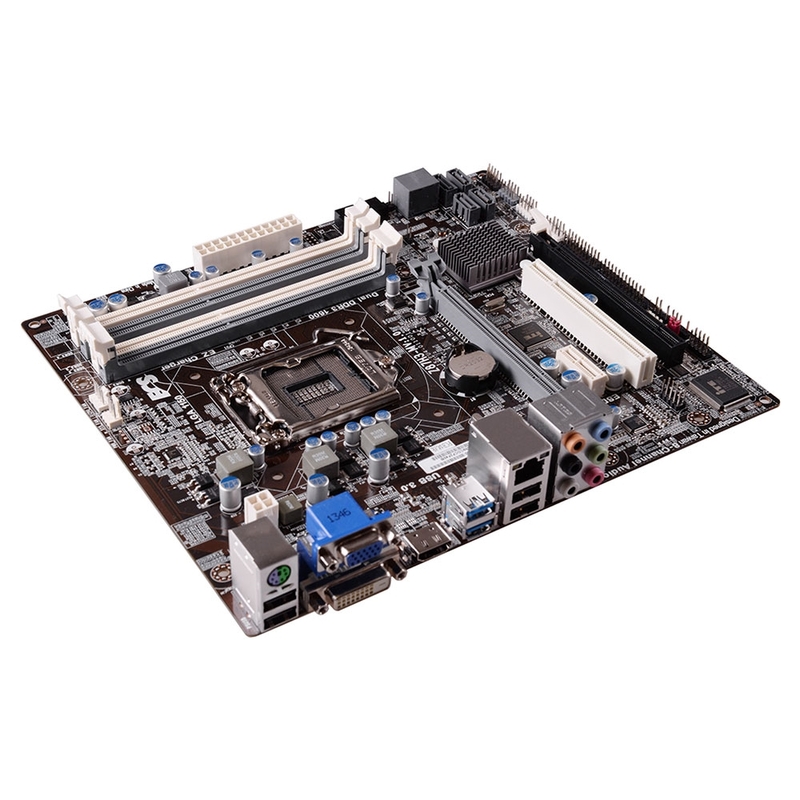 January 21, 2014, Taipei, Taiwan - ECS is pleased to announce the Z87H3-M, the smartest Z87 MicroATX motherboard choice on the market for high-end gamers. The Z87H3-M is packed with features that enhance the gaming experience out of the box and provides a future upgrade path, all while still being very competitively priced. 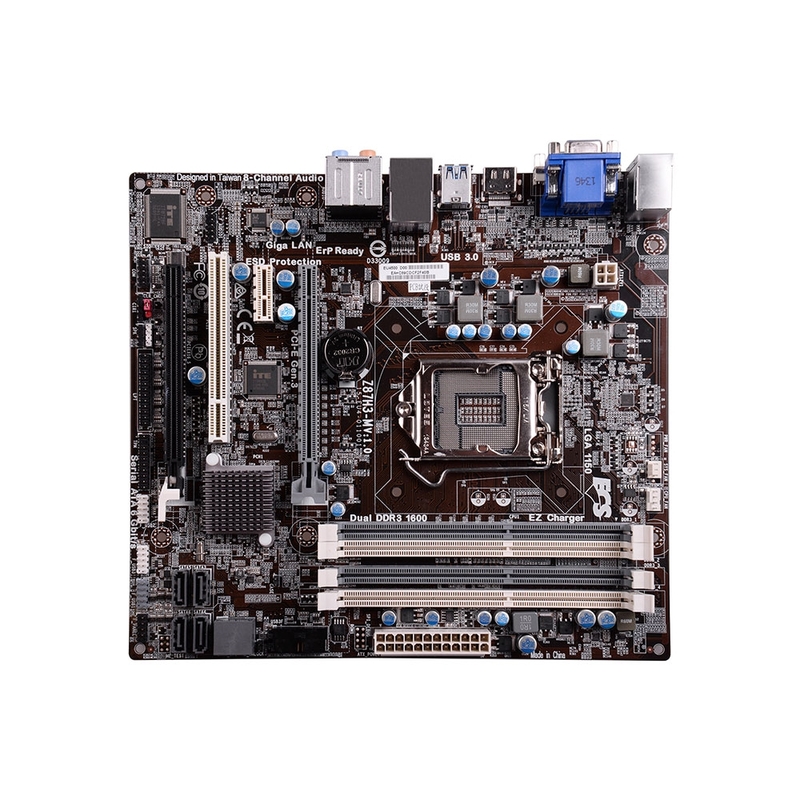 This is an ECS Durathon board, which means it has the Triple Density moisture-proof PCB, ultra-high Extreme Temperature Resistance, and extra-stringent testing. The ECS Z87H3-M features durable, heat-resistant solid capacitors for an ultra-long, stable life, even with the serious electrical and thermal demands of the latest gaming hardware. Solid capacitors typically provide a lifetime 6 times longer than the electrolytic capacitors used in lower-quality products. Meanwhile external connectors, such as VGA, USB and LAN ports, feature heavy-duty ESD (electrostatic discharge) protection, to protect delicate internal components from static and other electrical disturbances. Up to 3 independent displays are supported, with 1 HDMI port (DP optional), 1 DVI port, and a VGA port to ensure compatibility with any kind of monitor. There's also 8-channel audio onboard for thunderous gaming sound and vivid music. 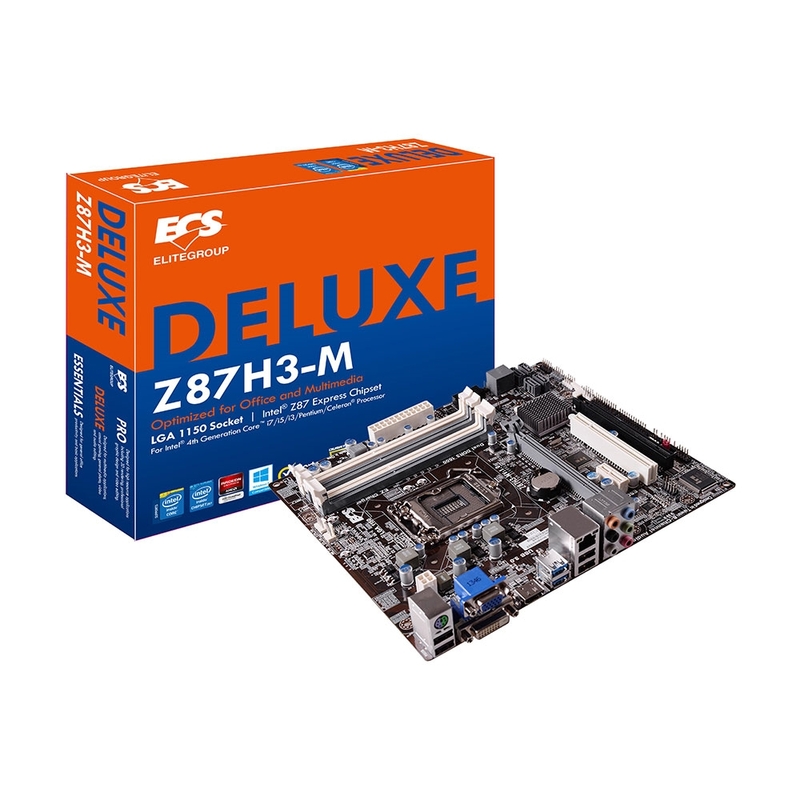 The ECS Z87H3-M features a host of expansion options. There are dual channel 4 x DDR3 1600 slots for up to 32GB of DRAM, meeting the demands of modern 64-bit operating systems. 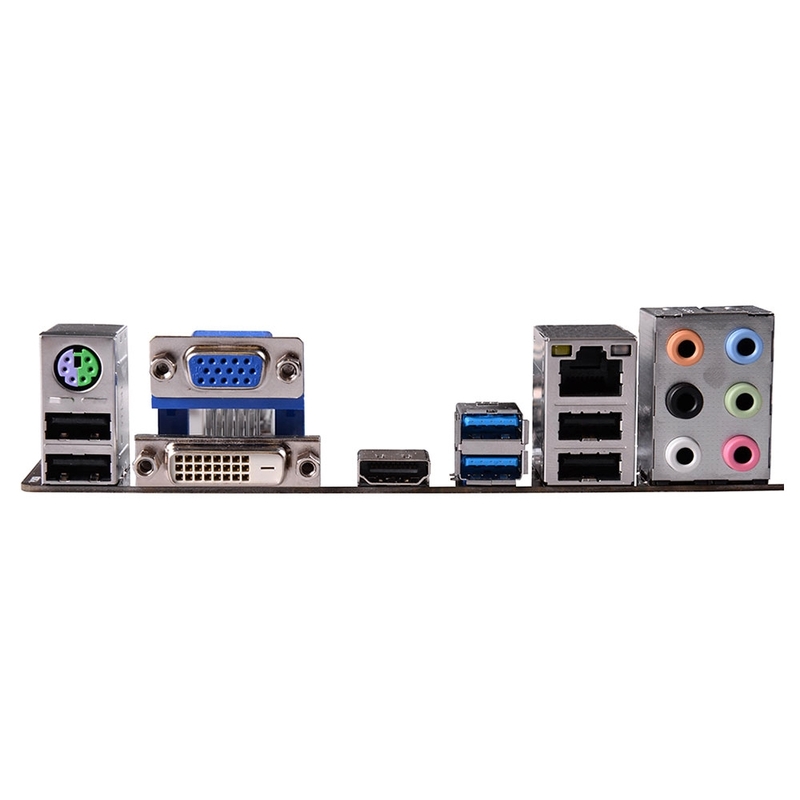 On board there are 2 PCI Express x16 slots for extreme fast AMD Crossfire X support (1x Generation 3, and 1x Generation 2 running in 4x mode), a PCI Express x1 slot, and also a PCI slot for compatibility with older cards. There are 6 SATA 6.0 Gigabyte/sec connections, providing for multiple terabytes of internal drive storage. For external devices, such as disk drivers, printers, cameras, phones, and media players, the ECS Z87H3-M offers 2x USB 3.0 and 4x USB 2.0 connectors – with internal headers there are 10 USB 2.0 ports in total. Network connectivity is fast, with a Gigabit LAN socket. To provide compatibility with older products, without wasting space on sockets, the board includes headers for COM/serial port, TPM, and LPT devices. Special ECS features include EZ charger technology to help users recharge phones and other external devices. Normally USB ports would switch to low current mode when the system is off, making recharging very slow. But EZ charger provides 3 times the current of competing products during S5 mode (system shutdown), recharging external devices rapidly and safely. The exclusive ECS iEZ utility combines eBLU BIOS Live Update Utility, eDLU Drivers Live Update Utility – to keep the system up to date with minimal hassle – and eSF Smart Fan Utility, which reduces system noise while allowing the system to work safely at maximum speed when required. Additional features include Intel Smart Response, which combines the speed of SSD and the capacity of traditional hard disks, allowing huge data storage with fast access times. Intel Rapid Start Technology provides an almost instant start up. 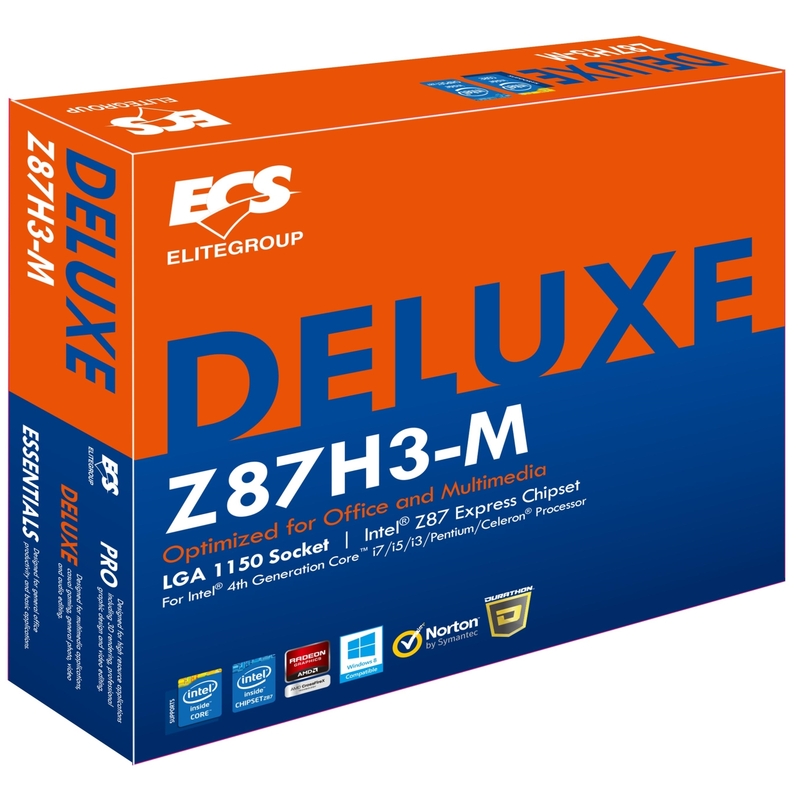 The ECS Z87H3-M is the ultimate high-value motherboard for high-end gamers and demanding PC users, and will be available worldwide in January 2014 for the suggested retail price of $100.